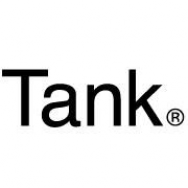 Tank’s creative approach operates on the belief that good ideas and solutions aren’t simply embellished by design — rather that design is a process and discipline that can be deployed to discover great ideas and solve complex problems. We don’t just set out to say “here’s how…” we set out to ask “what if?” In our experience, this approach often produces unexpected discoveries and helps reveal the best way forward. Our goal is for clients that embark on the Tank design experience to enjoy the confident discovery of the right path — not feel asked to choose one.